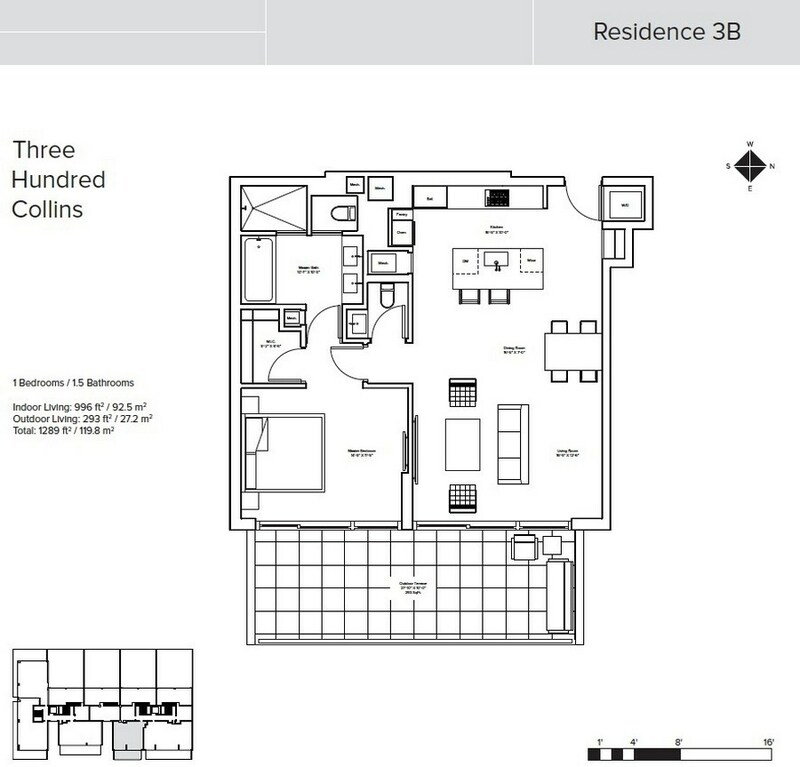 Three Hundred Collins is a sumptuous condo located within minutes from Miami Beach and standing out by its ultimate design and spacious units. 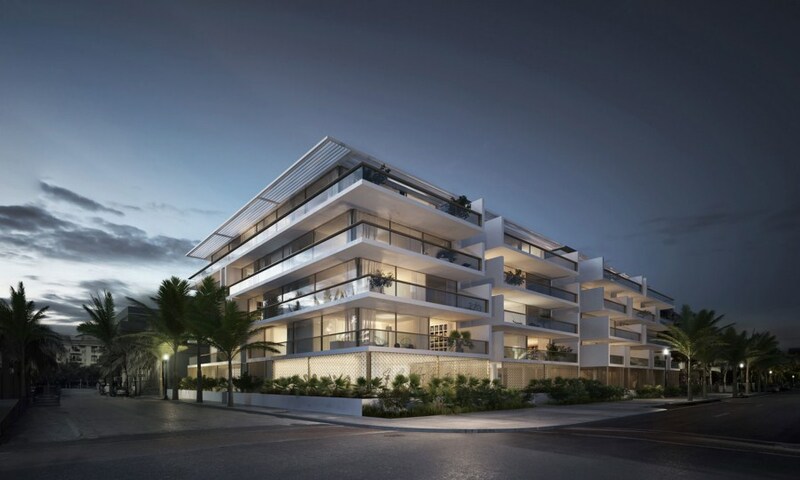 The building project was developed by Thomas Juul-Hansen. 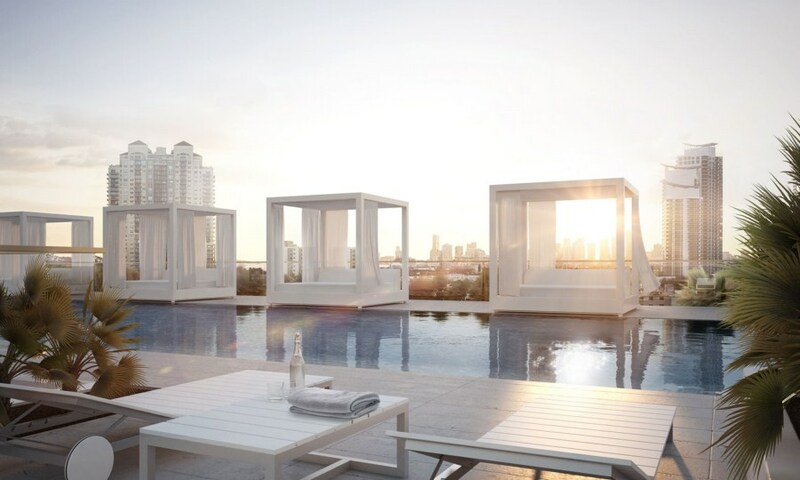 The 5-story condominium features 19 luxury residences starting above the 1st floor with 2-5 units on the each. 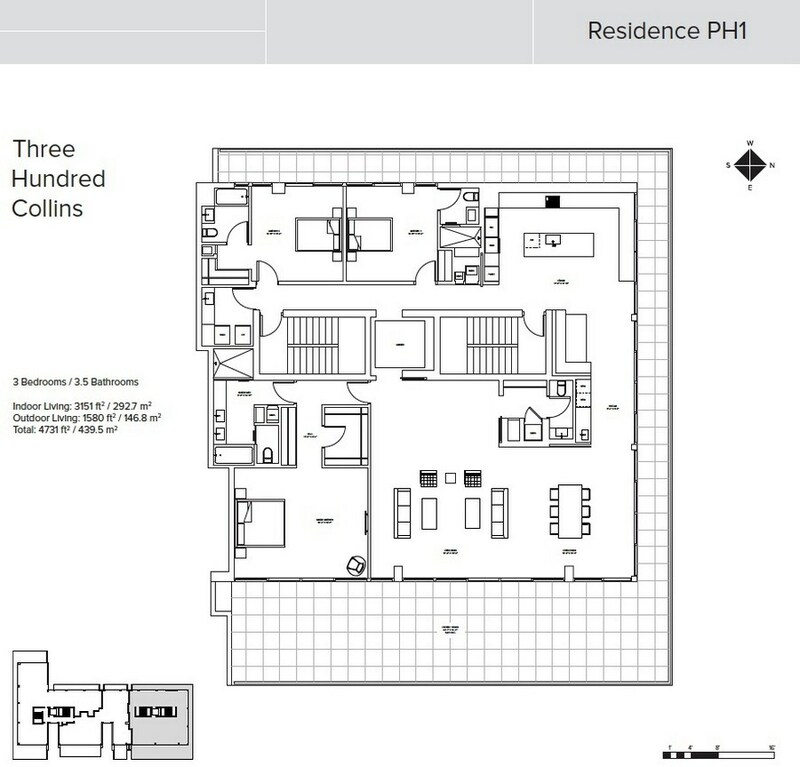 The first floor will feature lobby and amenity area. 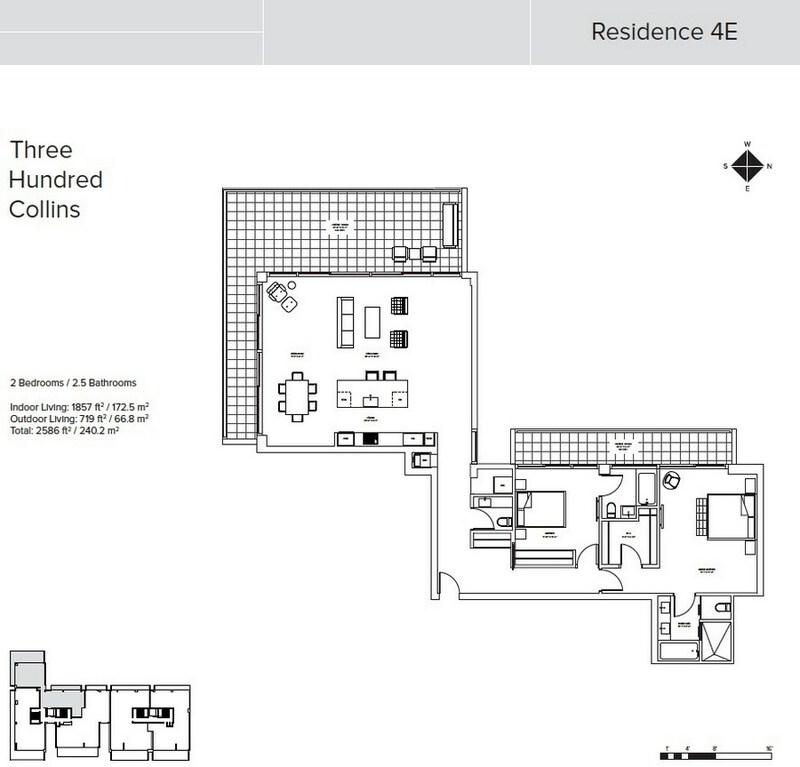 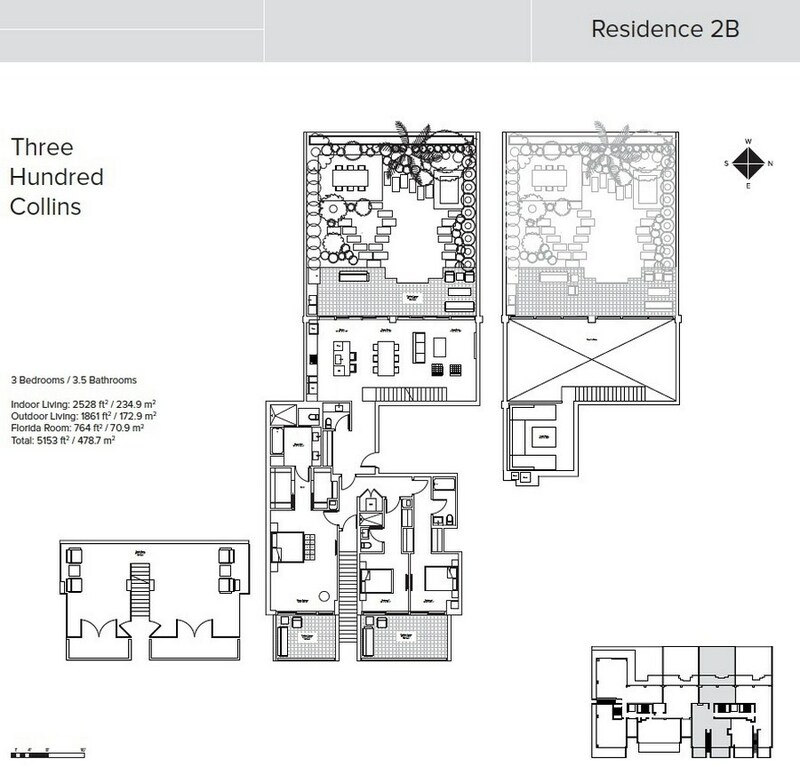 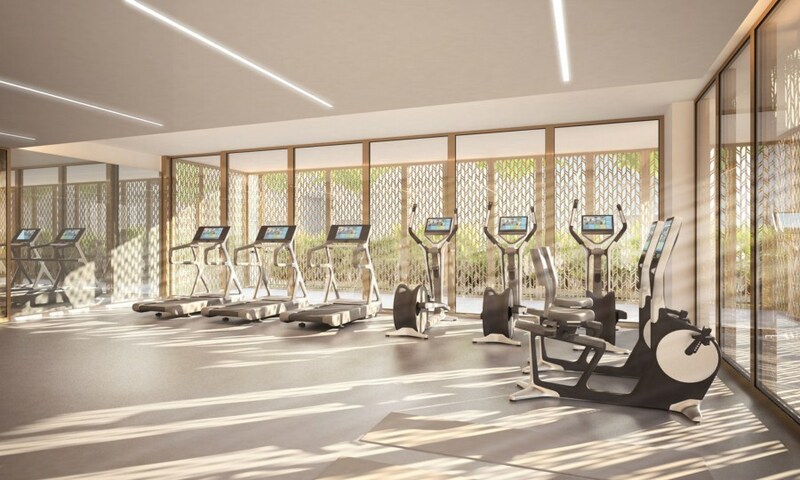 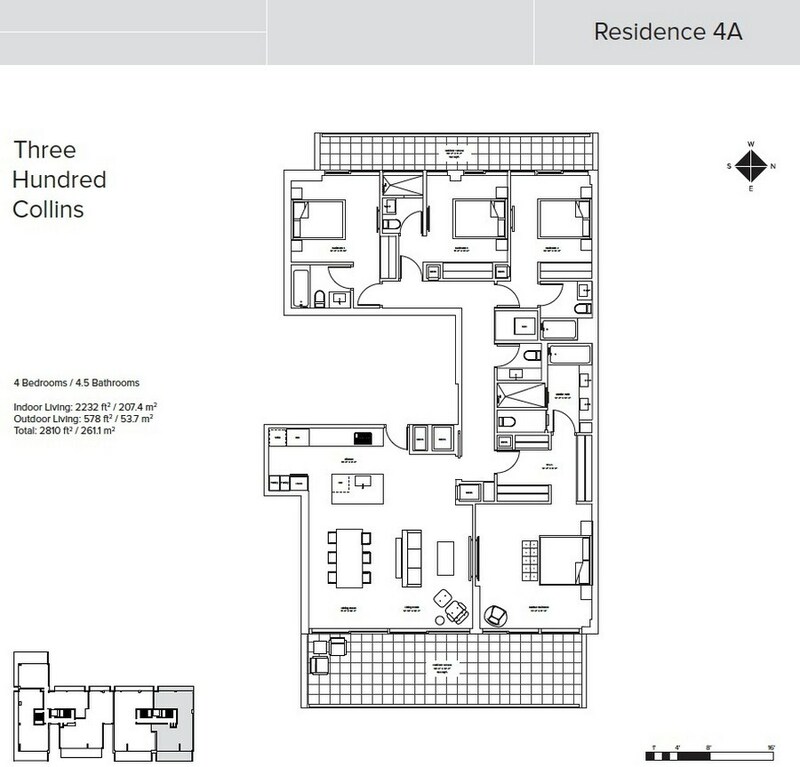 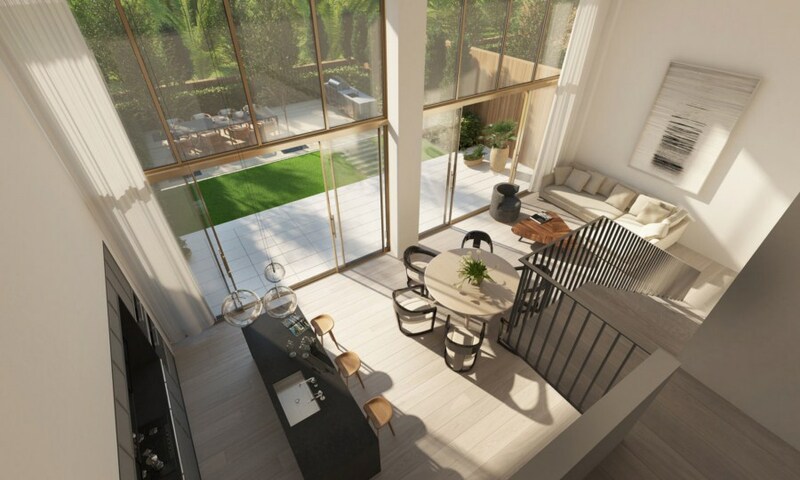 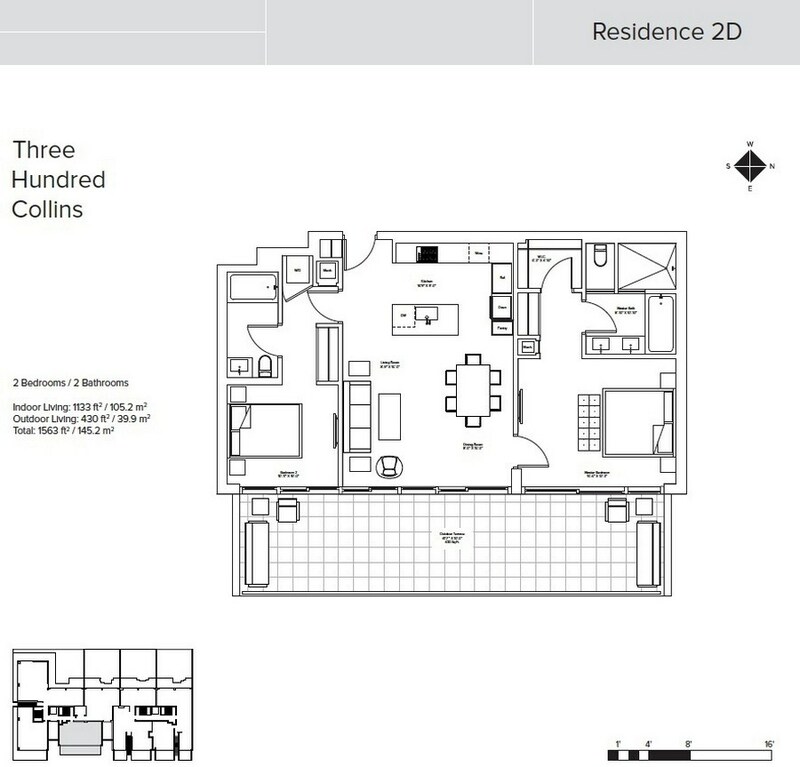 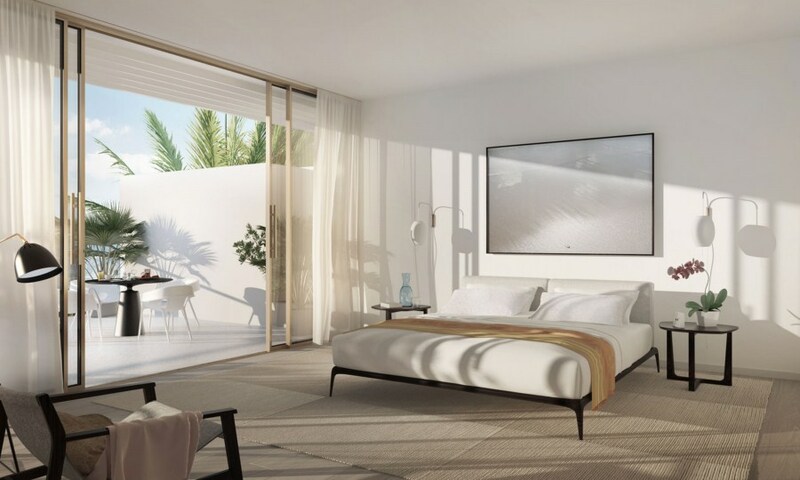 The Three Hundred Collins is an excellent opportunity to choose an apartment meeting the highest requirements and ranging in size from 1000 to 3700 square feet of indoor space. 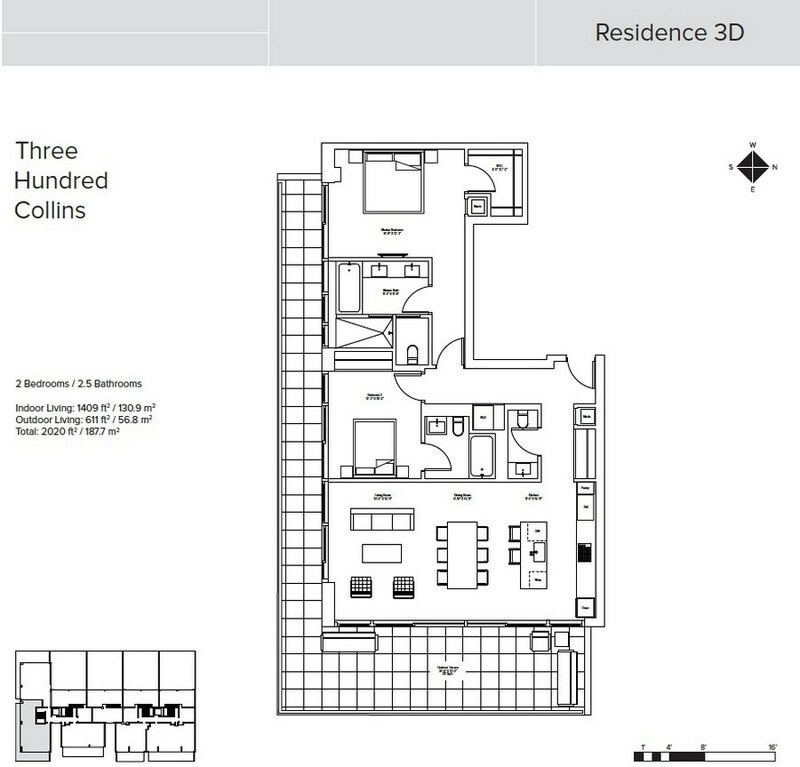 The condo is constructed to have 1-to-4 bedroom units, four 2-story duplex residences and 3 penthouses amounting to $1.6-$7M in price. 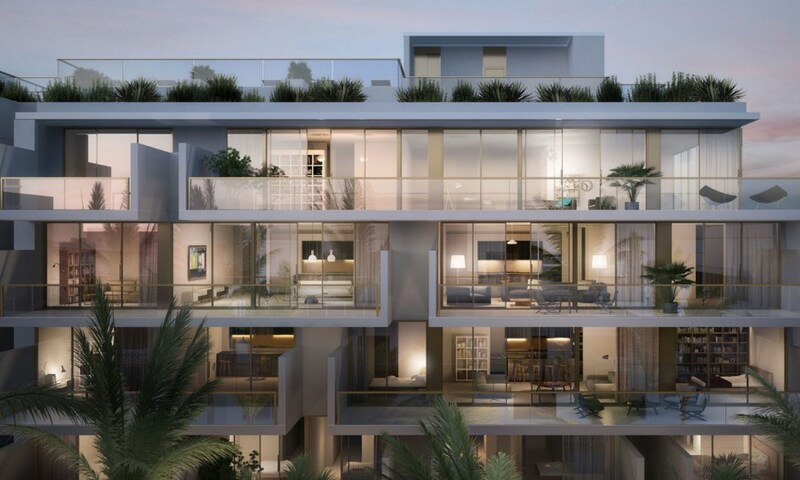 The project presupposes spacious terraces for each apartment and backyard sizing to 1500 sq. 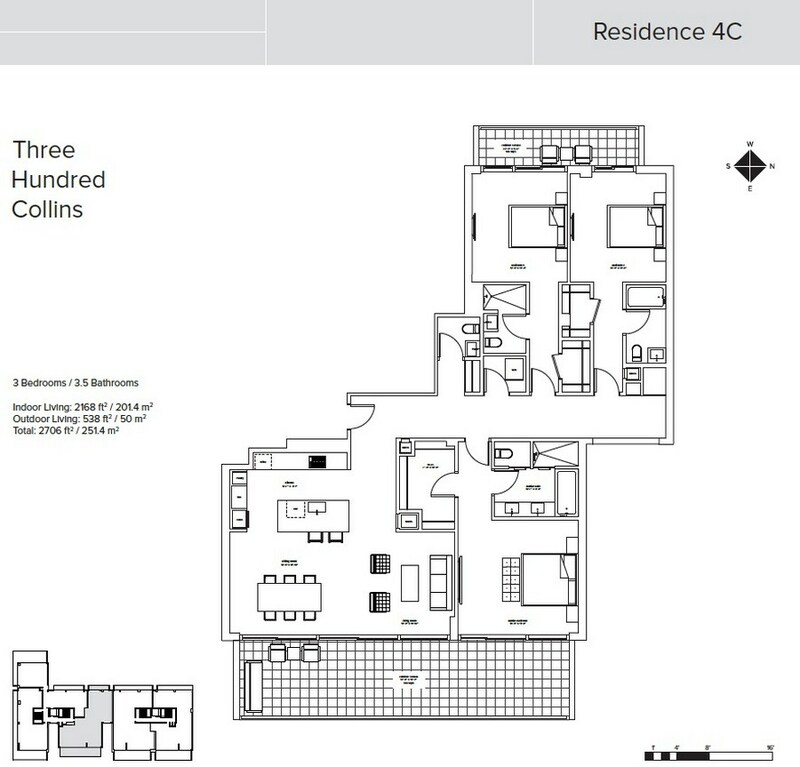 feet for each of the four duplex apartments. 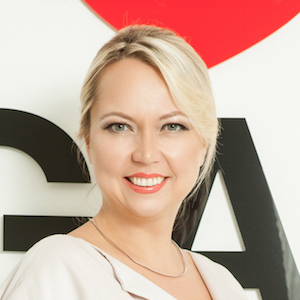 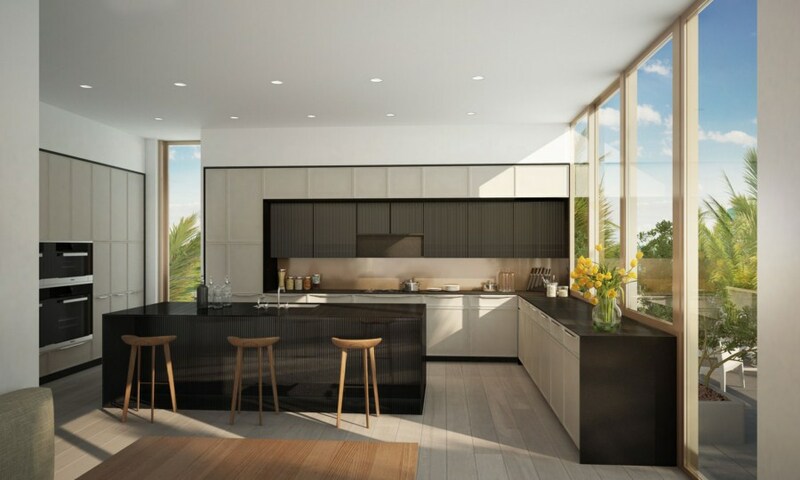 Here even the most demanding customers will find a home place they have been looking for. 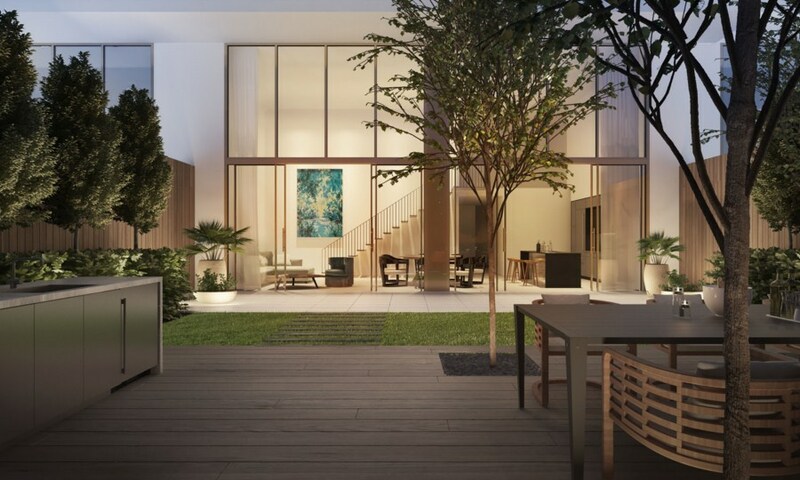 Excellent design and thoughtful details give a sense of comfort and privacy. 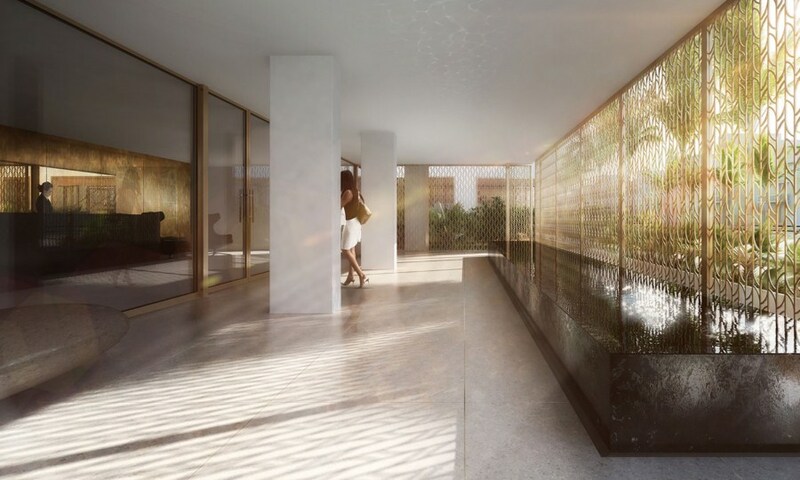 When entering the Three Hundred Collins you will get into the beautiful and immense lobby being greeted by a hospitable concierge. 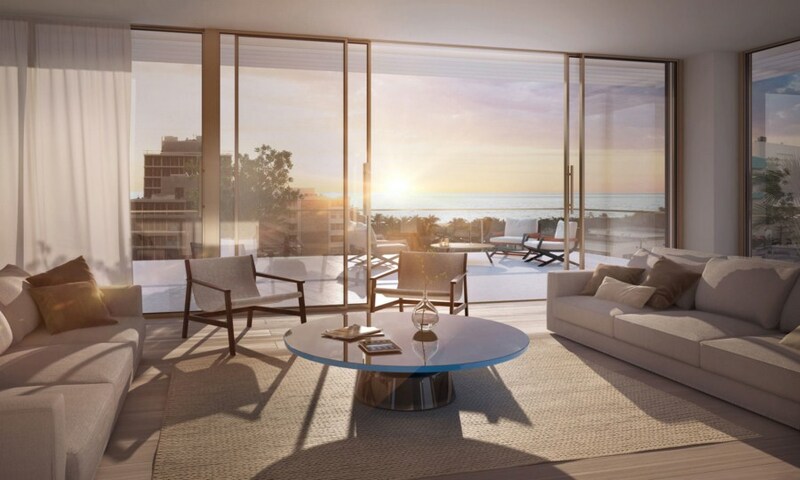 On the 1st floor residents also have access to large and upscale amenity area. 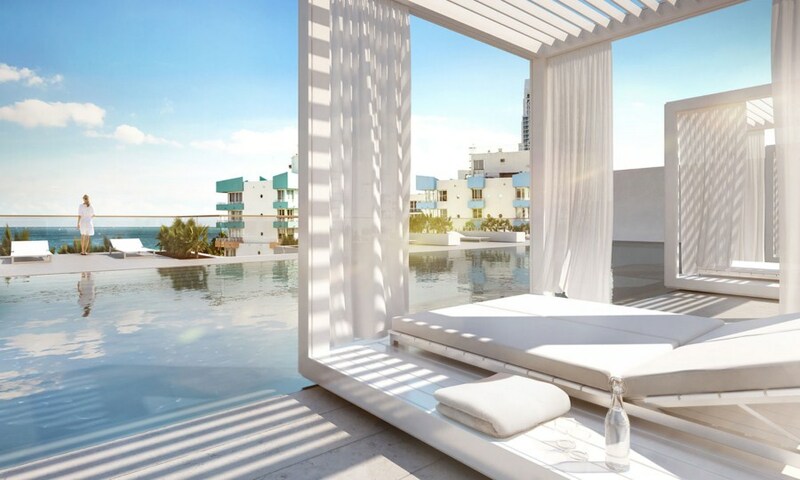 As you cross the doorstep into a world of relaxation, pleasure, comfort and joy you will find a sophisticated fitness center performing the variety of exclusive spa procedures, 75-foot swimming-pool, rooftop unit containing cabanas and the elaborately crafted décor at your disposal. 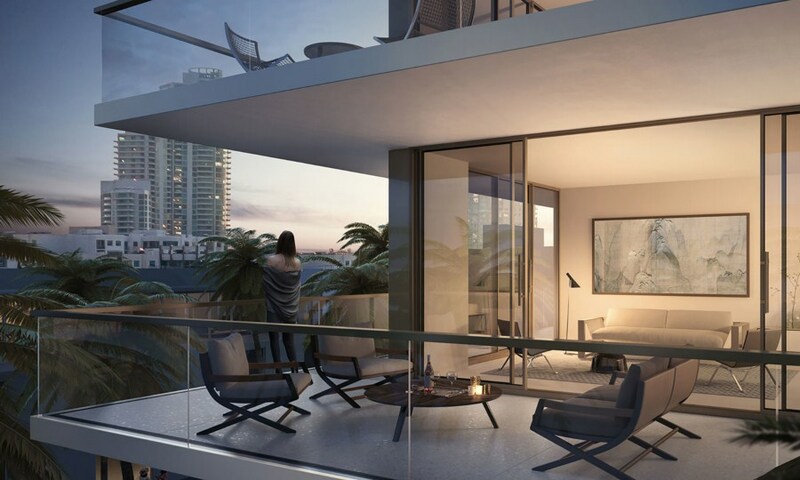 The residences at Three Hundred Collins condominium feature expansive terraces with breathtaking views, column-free construction and wide-plank wide oak wooden floors. 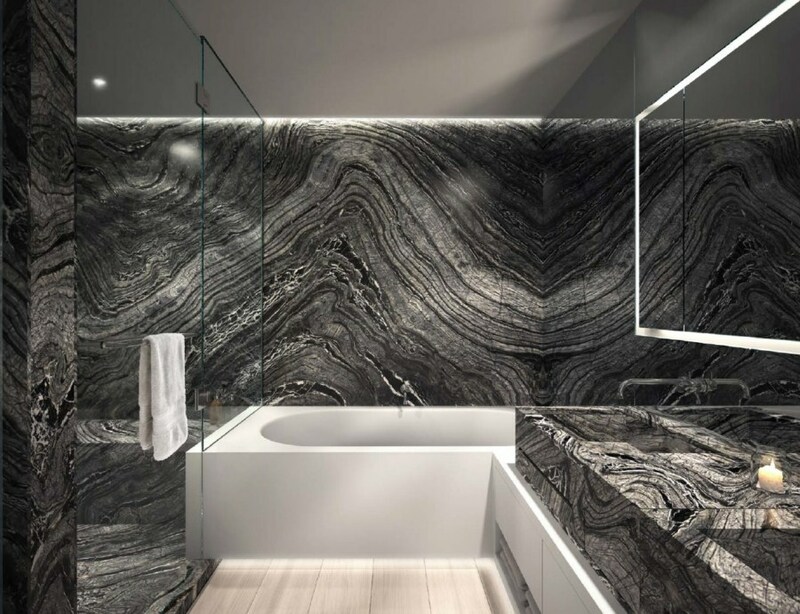 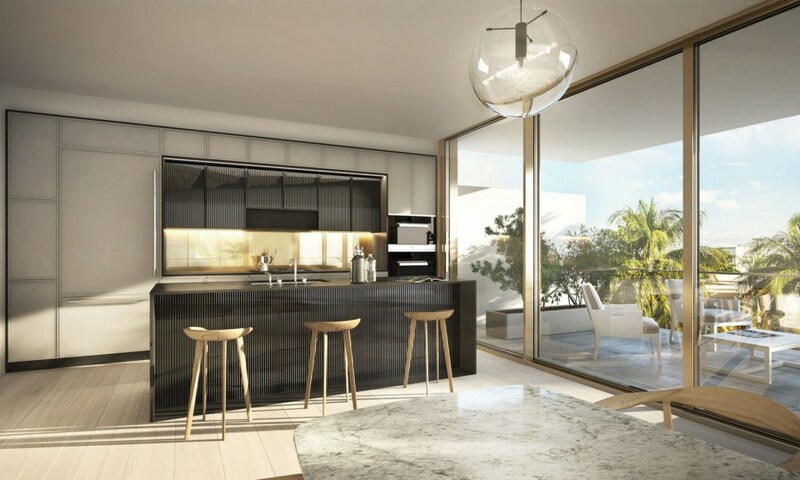 Every room in all the units combines best materials and soaring 18-feet ceilings featuring elegant bathrooms made of marble and custom-designed kitchens completed with top-notch appliances.